it for hanging small signs and pictures too. painted it with chalkboard paint. Easy Peasy but a great addition to our kitchen. condo at the beach with 1980’s furniture you know what I mean. Even with all their problems I could see hope for these ugly ducklings. Enjoy your break, Sherry! I will be back to your party in a couple weeks. Can I just paint on the glass of an old frame with chalkpaint? Love your cute chalkboard on the stand, what a clever idea! I hope that you enjoy your little spring break. Can't wait for your chair reveal- gonna be awesome! Spring is the perfect time for a break! Enjoy and finish those projects! Happy Spring and Happy Easter. Happy and safe Easter to you. Great projects and clever. The chairs have nice lines and style. Have a very nice spring break Sherry! Oh yes. I can see the potential with those chairs too! They are going to clean up nicely. I know you weren't discussing this in your post, but where did you find that glorious bottle drying rack? I love what you did with the wreath holder…what an elegant touch! 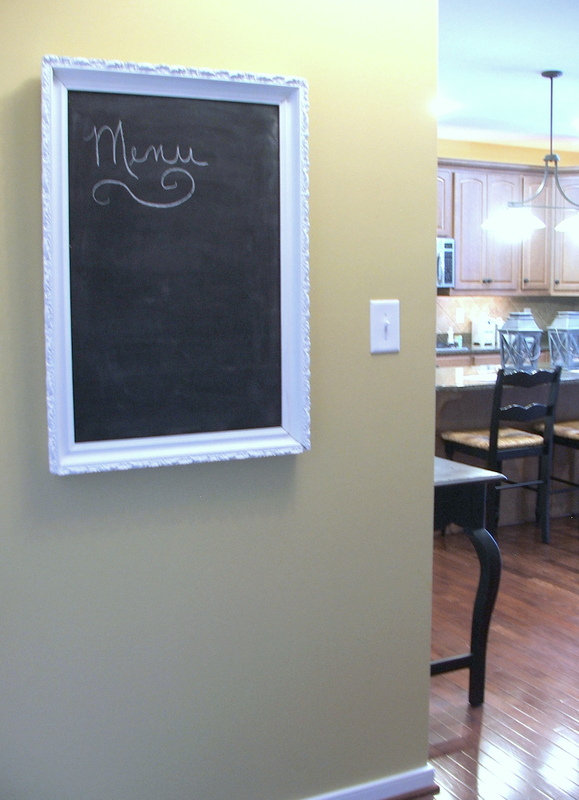 The chalk board in your kitchen is a great idea, too. I can't wait to see what you do with the chair…it really is a lovely style. The bones of that chair are terrific! Looking forward to your re-do of it. Isn't chalkboard paint wonderful? I may "steal" your silver tray idea. I can definately see the posibilties in the chairs. Those chairs have gorgeous potential, Sherry! Love your chalkboard ~ great frame. I always forget to go over to the aisle with pictures and frames at Goodwill and Salvation Army never seems to have any. Hi Sherry, I think you changed your blog header since I last visited. I love it! I also love those sea fans and think one (or two) are in my future. Visiting your lovely etsy shop has really reminded me I need to focus on mine. It is sooooo neglected. Have a wonderful Easter and thanks for sharing all of your wonderful ideas. Sherry, love the chalkboards and can't wait to see how you transform those chairs, I know they will look fabulous!! 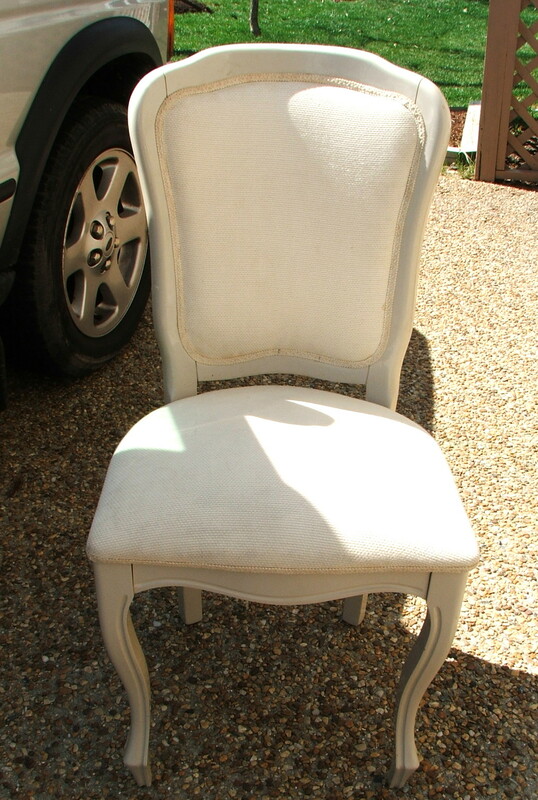 I can't wait to see what you do with those chairs….I've got a feeling they'll be "frenchy"! Hi Sherry, hope you are enjoying your break! Love the chalkboard! I have one in my kitchen and I love it. My frame is an old window. Can't wait to see the makeover the chairs get! I have been wanting to do the same thing with some silver trays I bought for $1..on my to do list! 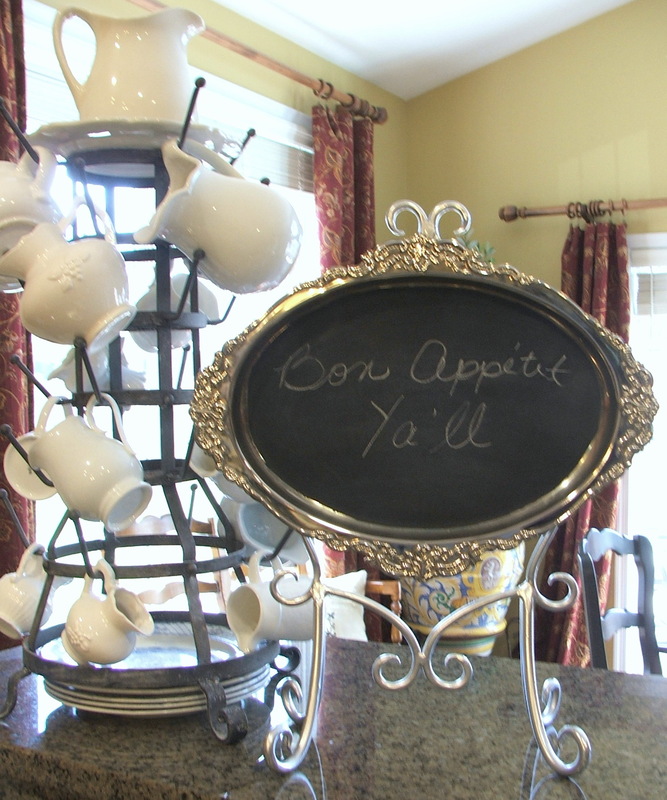 Have a wonderful Spring Break and look forward to your projects…the chalkboards look great in the kitchen. Love the idea of the wreath stand. Have a good break…we all need them every now and then. Hope you are enjoying your break.Can't wait to see what you do with that chair. Happy, happy Easter! Can't wait to see the transformation. LOVE the framed chaulkboard. wait … you HAVE spare time??? Now those chairs are going to look stunning!!! Great idea with the stand for your small chalkboard. Happy Easter to you and your family!!! Sherry, Have a fabulous break. I love those chairs and can't wait to see the end result. Thanks for sharng. You've been busy. Nice work. I will be eager to see the chair redone. Have a blessed Easter Sherry…and I can't wait to see what miracle you create with those chairs!!! The new additions are very cute. And yes, the chalkboard is prefect! Have a happy Easter, enjoy your family. Sherry I can't wait to see what you do with the chairs. I know they will be fabulous! Can't wait to see the chairs with new clothing! Hi Sherry ! Happy Easter!Like your cute chalkboard on the stand.So beautiful! Sherry, those chairs are beautiful, I can't wait to see the finished project! Have a Beautiful Easter. I love these chairs! I know just what you mean about condo fabric! All your projects look wonderful! I love the tray and the drying rack is great! Your chalkboard is wonderful! Happy Easter! I love those chairs and can't wait to see the after photo. I want a chalk board too! Yours is perfect. Hope you had a lovely and blessed Easter! I can totally see the potential in those chairs Sherry! Love'em! Can't wait to see what you do to them…. Love the chairs Sherry and I can't wait to see what you do with them! I've embarked on some chair freshening, so cant wait to see what you do with your "find!" 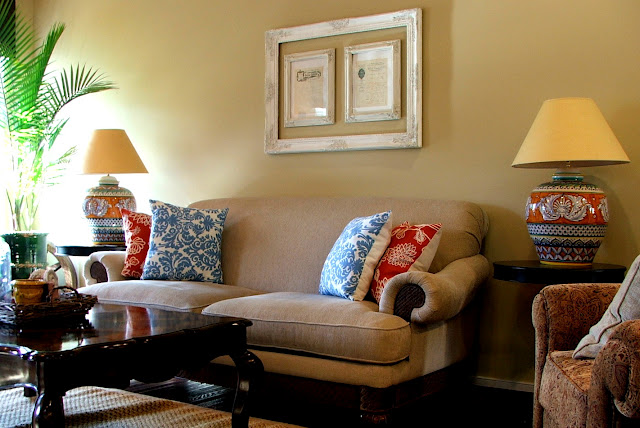 All of your projects are one's I would be tickled to have in my home! I love the lines of that chair! You are one busy and creative girl! Just found your blog and love all your posts! New Follower. Would love for you to share on Simple & Sweet Fridays. Love the chalkboard! Can't wait to see what you do with the chairs. Enjoy your spring break, we'll be here waiting to party with you when you get back!